The small European island of Malta has been at the centre of the world’s online gambling industry for years as a home of many reputed online casinos. But while its fiat money casino industry has been thriving, the small country has so far failed to create the opportunities for Bitcoin casino operators to set up shop on the island and acquire licenses from one of the most trusted gaming regulators – the Malta Gaming Authority (MGA). But that is about to change soon since the country recently passed its first three bills that would form a new regulatory framework for blockchain technology. 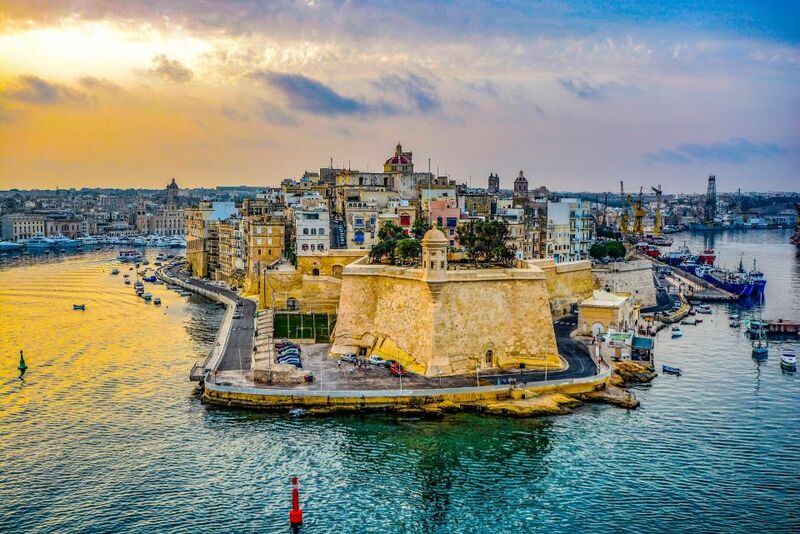 As reported by local news agency, Malta Today, the Parliament of Malta has passed three bills which will form the foundation of a new blockchain framework that would regulate the cryptocurrency sector on the island. According to the report, the new bills were unanimously approved by vote during their second reading. The bills that are now passed into law are the Virtual Financial Asset Act, the Digital Innovation Authority Act, and the Innovative Technological Arrangement and Services Act. These three bills were conceived to give Malta the tools it needs to become a hub for cryptocurrency and blockchain companies, after successfully attracting a large portion of the world’s leading gambling brands. According to the Parliamentary Secretary for Digital Economy, Financial Services, and Innovation, Silvio Schembri, the new bills will turn Malta into the number one jurisdiction in the world “to provide legal certainty to this space”. Malta’s Prime Minister, Joseph Muscat, celebrated the passing of the bills on his Twitter profile where he said that they would make the island a hub for global market leaders from the cryptocurrency industry by giving blockchain ventures the tools to operate in an innovative and regulated economy. He even used a new hash-tag for the country, calling Malta “#BlockchainIsland”. Malta’s work on blockchain regulation is already attracting big companies from the cryptocurrency sector. A number of big players from the industry have already established bases on the island, including companies like BitPay, Binance, and OKEx. Bitcoin Gambling on the Horizon? Just like many blockchain enthusiasts are eager to see how the new regulation will contribute to the development of the industry, Bitcoin gamblers are also hoping to see new developments in the cryptocurrency casino sector. Back in April, Malta’s gambling regulator announced a new “sandbox” test on the use of tokens and cryptocurrencies in its online casino licensees. The probe is to be conducted over the period of the next six months, during which a number of rules will be tested that the MGA wants to enforce. As explained by the industry watchdog, at first MGA casino operators will only be allowed to offer deposits and withdrawals in cryptocurrencies without the option to exchange virtual coins back to fiat money. But on the plus side, locally licensed operators will be able to offer both games hosted on a blockchain as well as regular casino games that use blockchain technology as proof of fairness. If the test is successful, the MGA will officially approve cryptocurrency gambling, which will likely stimulate other successful operators in Malta to incorporate cryptocurrencies into their platforms.